Aberdeen council’s car club will has expanded to include two environmentally hydrogen cars. 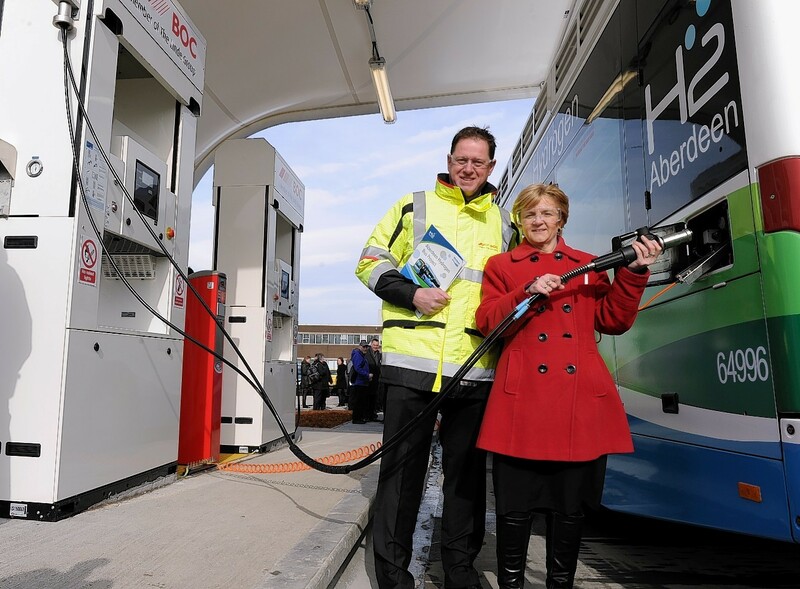 A new hydrogen refuelling station was opened to the public in Aberdeen yesterday. Aberdeen City Council has taken delivery of the world's first hydrogen road sweeper. Controversial London-style Low Emission Zones (LEZ) may not have to be introduced into Aberdeen-if council chiefs can achieve ambitious hydrogen targets in the next two years. An Aberdeenshire farmer is embarking on a pioneering trial into the use of hydrogen technology to reduce, and possibly even eradicate, carbon emissions from tractors and heavy-duty farm vehicles. Technology which has previously been used to power satellites and space capsules for NASA has been fitted at the site of the new £333million Aberdeen Exhibition and Conference Centre. 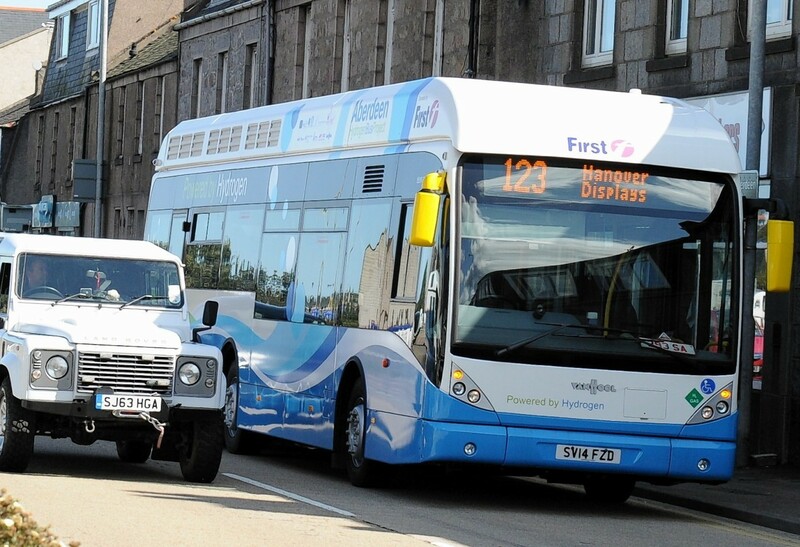 Scotland’s first hydrogen-powered taxi is to start a one-year trial in Aberdeen. 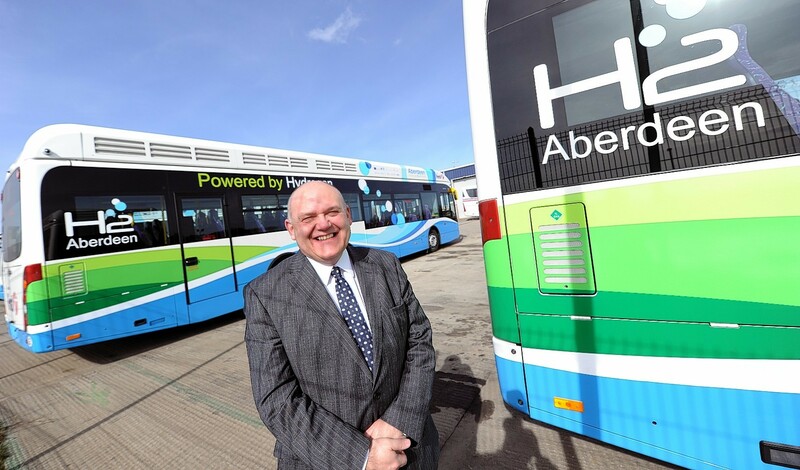 A north-east MSP has urged the Scottish Government to invest in Aberdeen's hydrogen buses. Aberdeen City Council has reached the final of a national competition for sustainable transport. 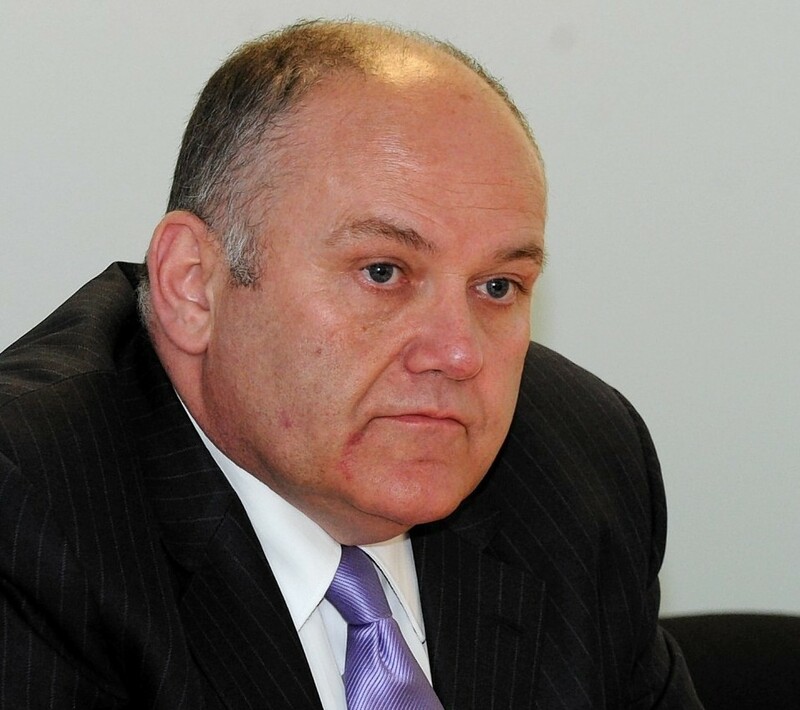 The former leader of Aberdeen City Council says it is important to "operate normally" and not be daunted by terrorism, ahead of a trip to Brussels. Leading figures in the energy industry visited Aberdeen yesterday to find out more about how the city has reduced its carbon emissions. 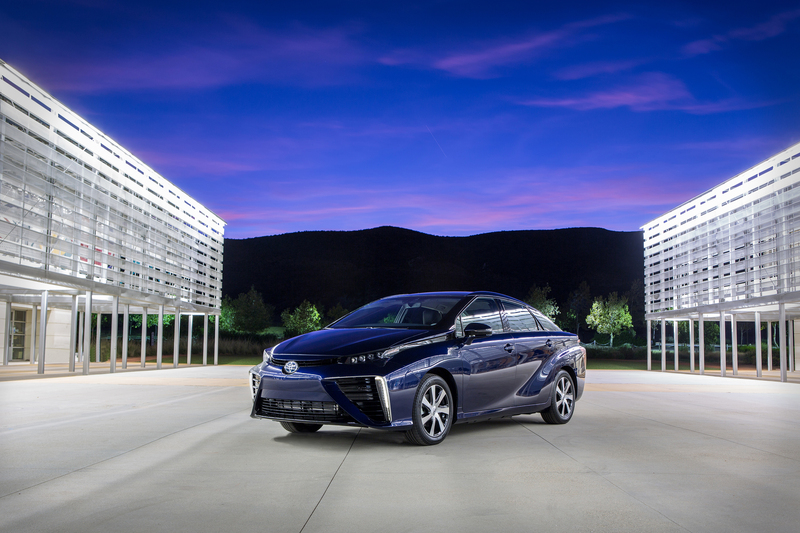 Toyota will launch its all-new Mirai hydrogen fuel cell vehicle in Japan next monthdec, before introducing it in the UK and other selected European markets in September 2015. A milestone has been reached in a pioneering hydrogen-powered bus project with the start of work on the UK's first refuelling station. A second hydrogen refuelling and storage station could be built in Aberdeen.